In order to achieve the desired high levels of welfare, farmers, stockpersons and animal handlers should have at least a basic understanding of the behavior of the animals they work with. Knowledge of animals’ natural behavior is essential in ensuring we create an environment, manage and care for individual animals and herds in a manner that enables them to express themselves naturally and to remain healthy with a high quality of life. This is a fundamental aspect of livestock production that we support and promote. More specifically, gaining an understanding of animal behavior allows us to more effectively identify and treat sick animals, respond to immediate challenges, select animals for breeding, design appropriate housing and to handle and herd without creating unnecessary stress (Lund and Weary, 2005). Understanding and observing the feeding behaviour of cattle can provide an early indication of sickness, and there are techniques and indicators to further enable this as a management tool especially for groups of animals. For example, electronic transponders implanted in ear tags allow monitoring at feeding time, and it has been shown that using such equipment to measure reduced time at the feed trough can be used as an early indicator of morbidity in beef cattle and is more effective than just visual appraisal (Quimby et al., 2001). However, the practical applications of detecting health challenges, such as parasite infestations, through behavior may depend on the condition, the level of infection and their pathophysiological consequences (Szyszka and Kyriazakis, 2012; Szyszka et al., 2013). The use of feed behavior e.g. 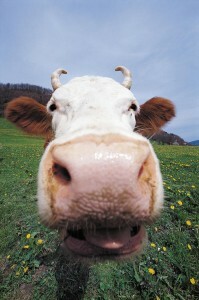 frequency of calves drinking milk can be an indicator of illness (Svensson and Jensen., 2006), but can also be dependent on whether the feed allowance is sufficient or not (Borderas et al., 2009). The automatic monitoring of Dry Matter Intake (DMI) of dairy cattle can be successfully use to detect early disease, as can monitoring water intake (Lukas et al., 2008; González et al., 2008). 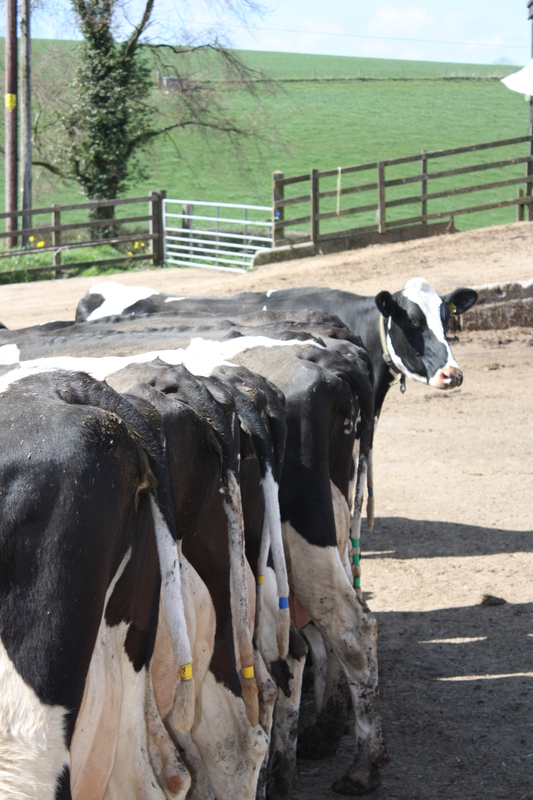 Cows that develop severe metritis spend less time feeding and consume less feed compared with healthy cows (Huzzey et al., 2007) and hence reduced time at the feeder can be used to identify dairy cows at risk for metritis (DeVries et al., 2003; Urton et al., 2005). Increased knowledge about social integration is necessary to develop effective management techniques that reduce the negative impacts of grouping animals together (Bøe and Færevik, 2003). When making a decision on the ideal group size to maximize welfare benefit, it is beneficial to consider the factors that influence group size in the wild. These are determined by a number of factors, including the availability of feed. In the wild, animals living in groups have the advantages of increased efficiency in detecting and acquiring food and protecting themselves against predators (Mendel and Held, 2001). The size of these groups tends to be fluid and flexible, reacting to the availability of resources. necessity, group sizes on commercial farms often need to be static, creating a situation of increased aggressive interactions affecting the welfare of some members of the group (Estev et al., 2007). A practical solution in dairy herds would be to increase space allowance at the feeder, which not only increases feeding activity but also reduces competition among lactating dairy cows, with benefits to the more subordinate animals in the group (de Vries et al., 2003). Re-grouping is another option, although this causes distress, especially among those of lower dominance rank and subordinates, and has negative effects on production and therefore management practices that disturb social stability in a dairy herd should be avoided (Hasegawa et al., 1997). Grouping of unfamiliar animals can result in increased aggression (Tennesson et al., 1985), social stress, locomotion behavior and reduced feed intake and milk yield. These problems tend to be greater for those animals that are introduced animals rather than the group resident animals. Repeated grouping can lead to animals becoming accustomed to this process (Bøe and Færevik, 2003). Calves reared in groups are more socially confident and show less fear than calves reared in isolation (Bøe and Færevik, 2003). For more on Group Size for Calves click here. Extensively farmed animals may be less under our control than intensively farmed animals and have more freedom to express and control their behavior but they are not wild and there are many differences between the circumstances of wild and extensively farmed animals (Deag, 1986). Nevertheless, there are still important lessons to learn from observations of animals reared in the wild (Appleby, 1986). In comparison with domestic cattle, feral cattle live in small group sizes (1–20 animals), range over large areas and travel long distances (Hernandez et al., 1999). In the wild, the structure of a group of animals can vary with time of the year and the stage of development of the animals within the group. Observations of feral cattle in Madagascar have shown that there are three basic group types 1) groups of approximately 10 females of mixed age with some young males, 2) small groups of solitary males and 3) during breeding seasons, mixed groups of males and females of approximately 18 animals per group (Daycard, 1990; Berteaux and Micol, 1992). Maintaining animals in closed herds and flocks and at stocking rates that enables free-movement, reduces risks of disease spread and minimizes environmental damage.